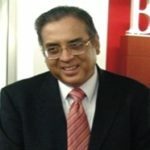 Dr. Hafeez Ahmed Pasha is a economist of Pakistan who is the Chairman of the country’s Panel of Economists, an independent advisory committee for the government. He is the Dean of the School of Social Sciences at the Beaconhouse National University, Lahore. He is also the Vice Chairman of the university’s think-tank, the Institute of Public Policy.